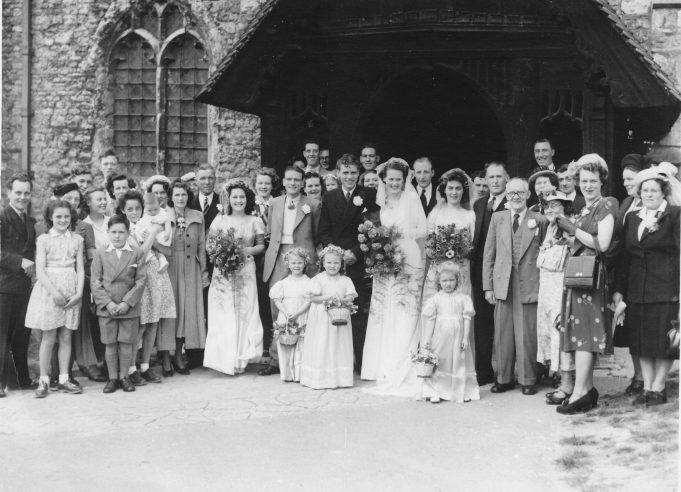 The photos below were taken at the wedding of my parents, Dennis (Ron) Jeffs and Eveline (Peggy) Eason, who married at St Mary’s Church, Benfleet, in April 1949. The happy couple, Dennis (Ron) Jeffs and Eveline (Peggy) Eason. 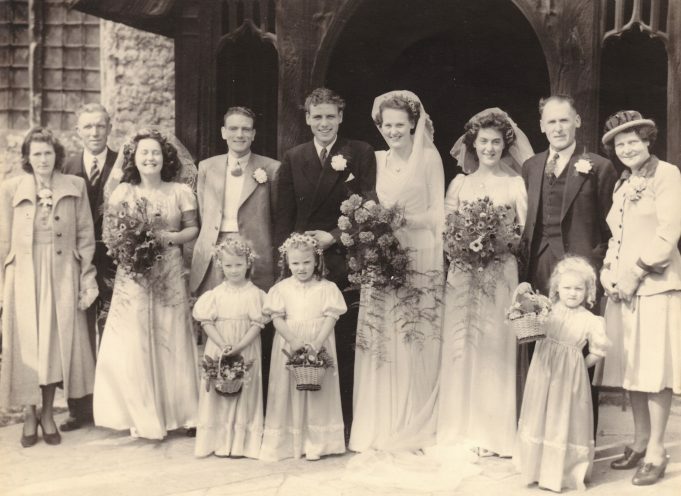 Left to right: Lillian and George Jeffs snr. Ruth Edwards, George Jeffs, Ron and Peggy, Joy Eason, Frederick and Louisa Eason. 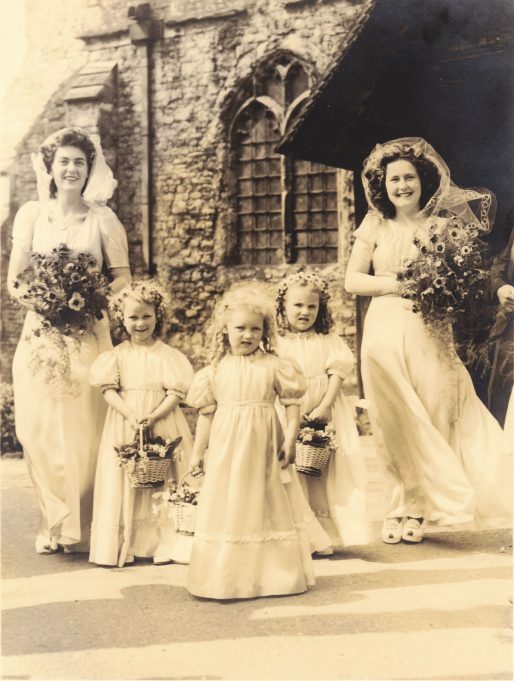 Young bridesmaids - left to right: June, Joan and Carol. Thanks for your comment Keith, unfortunately Joy died a few years ago but still lived in the Tarpots area. I was keen on Joy Eason when at Benfleet School in 1944, I now live in South Africa.